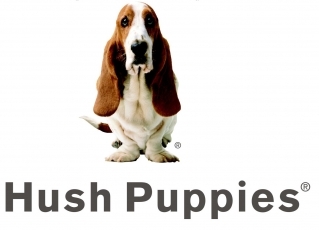 The world-famous Hush Puppies watch brand was founded in 1958. The company started its business with the production of footwear in casual style. Today the company has its offices in 135 countries. In 2002, Hush Puppies brand launched a new line of Hush Puppies timepieces, producing reliable and durable watches for everyday wear. The company's products at once gained an acceptance from the press and the clients. Hush Puppies watches have either classical design or casual style. The company produces trendy and elegant men's and women's wrist watches, based on Swiss quartz movements. There are several collections of men's wrist watches: Absolute C., Orbz, Sportser, Freestyle, that reflect a passionate desire to combining impeccable classics and high-end trends of the modern world. The watch cases are made of stainless steel, they can be round, square, rectangular or barrel-shaped. The color gamma of the dials varies from black to white and mother-of-pearl. Watch indexes are either Roman or Arabic numerals. The models come with black or brown leather straps. A sapphire crystal with anti-reflective coating covers the dial. There is also a date aperture and the engraved company's logo on the watch dial. The women's watches with a perfect feminine design reflect grace, elegance and spirit of the contemporary era. There are Crescendo, Orbz, and Freestyle collections of wrist watches for ladies. Smooth and clean lines of the square and oval cases soften the design of the watch and turn it into an unobtrusive but very necessary accessory of everyday life. The watch cases are decorated with Swarovski crystals, and the stainless steel bracelet of fanciful design adds a special savour to the watch. Pairs watch collection consists of several pairs of men's and women's wrist watches. To become an owner of these unique models, you just need to buy a watch from this collection and to familiarize yourself with a new vision of eternal love.